Kondinin Group researchers have identified a promising new method for killing weeds using nothing more than sound. 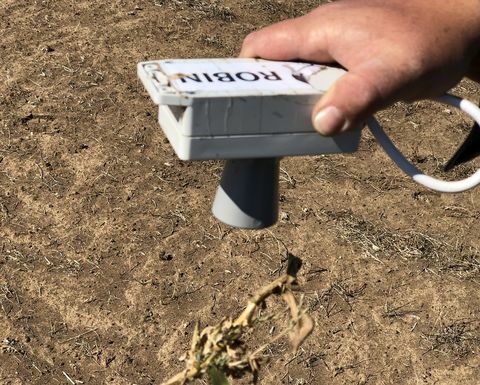 Kondinin Group researchers have been using sound to kill weeds. Picture Ben White. The research team of Ben White, Josh Giumelli and Mark Saunders has been working on the theory that some cells in plants can be manipulated by the use of resonant frequency and vibration caused by sound waves. Resonant frequency is the natural frequency of vibration determined by the physical properties of an individual object. 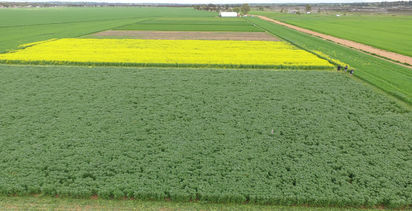 Kondinin Group researchers have had initial success killing weeds with certain sounds, music and frequencies. The new technology is called WeedDJ™ and while not yet perfected for specific weeds or plants, WeedDJ™is a chemical-free option for controlling unwanted species. Kondinin Group researcher Ben White said the team hit on the idea while testing sprayers. 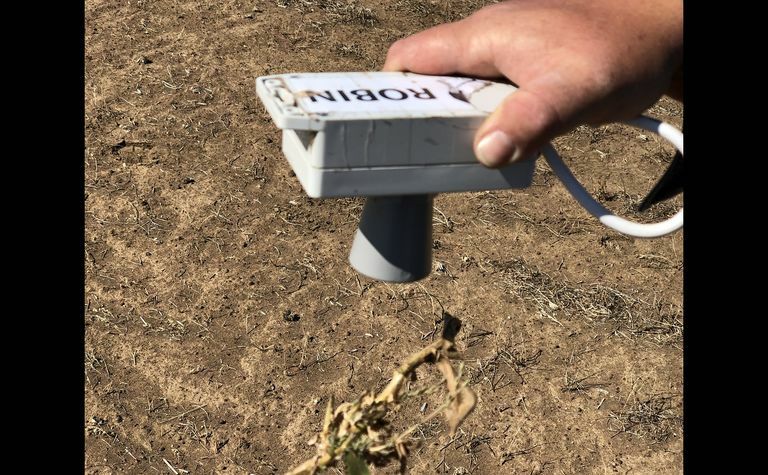 "We've seen and researched many different types of weed control and one day my fellow researcher Josh Giumelli had Adele pumping in a self-propelled sprayer cab," White said. "We were laughing and saying that noise could break the cab glass and then we thought maybe we can apply that to weeds." The research team was already aware that several years ago, scientists at the University of California (UC), San Diego in the United States discovered a signal mechanism that controls a plant's stomata is vulnerable to vibration from sound. The UC work found two cells that form the plant's stoma consist of specialised cells (called guard cells) that are tuned to the resonant frequency of calcium. When exposed to this frequency, the stomata close. However, if the frequency is not exactly right, the cells will open again within an hour. Specific music, high tones or noises such as a bird song cause the plant to vibrate, but not at the exact frequency for calcium resonance. If the stomata are forced to remain open, the plant will not be able to control the amount of water lost via transpiration and so it risks dehydration. "So we have been working on finding the right sound and hence vibrations to dry the plants out. "In a similar fashion that the Fremantle Football Club song drives people crazy, we hope WeedDJ™ will be able to take care of weeds. "It's early days yet, but we reckon this technology has huge potential, especially as it does not involve the use of chemicals." 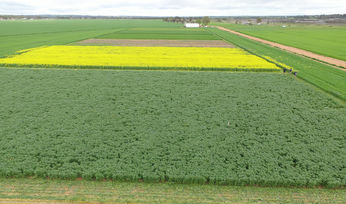 Mark Saunders commented that the technology shows real promise in combating herbicide resistance in key species such as ryegrass, fleabane and radish. "It's interesting that this whole time the focus has been on herbicides or the physical destruction of weed seeds, when all we needed to do was play them a tune."